Enjoy autumn on the Trans-Siberian Railway as you get a chance to discover Russia in a unique way! Visit the glamorous Russian city of Moscow, known worldwide for its unique colored architecture. ...and take a relaxing cruise down the Moskva River. Fly to Ulan Ude and take a walk through the small city center discovering the little stands, which sell everything from freshly-cut meat to freshly-baked bread! Meet with Buddhist women and nuns at Lamrim Buddhist cultural and educational center for women. Learn about the myriad cultures, traditions, and beliefs along the way, including the Old Believers. Hop on board the Trans-Siberian Railway, taking the train from Ulan Ude to Irkutsk. In Irkutsk, explore the history of the city, visiting the Church of Our Savior, the oldest stone structure in the city. Drive to Listvyanka Village at Lake Baikal and stop along the way for a kayaking excursion! Head out on a private boat cruise to the old Circumbaikal Railway. Enjoy a 3-4 hour hike today along part of the Great Baikal Trail. Enjoy the beautiful nature around you as you spend another day on the Trans-Siberian Railway. Board the train to Ekaterinburg, passing remote towns with charming painted houses. Visit the Church on the Blood in Ekaterinburg, dedicated to the last Czar, Nicholas II, and his family before their Bolshevik executions. Our last stop brings us back to Moscow for a last chance to enjoy this beautiful city and the history behind it. Moderate: These adventures exercise your mind more than your body and are designed for women who prefer a leisurely, less rigorous experience. For example, you could walk up to 2 miles per day through cities and villages, stand in museums for a few hours, relax on a boat, or view wildlife from a vehicle. Active: Adventures that get you on your feet! You should be in good physical condition where you are comfortable walking on uneven surfaces, such as cobblestone streets, biking manicured nature trails, or kayaking calm waters. Learn more about activity levels. Witness some of the most spectacular sights in the world on a 15-day journey by rail through Russia in September 2019 on the legendary Trans-Siberian Railway! Start your Russian adventure by train in Moscow, where candy-colored domes atop gingerbread buildings live side-by-side with the Brutalist architecture and remnants of Russia’s Soviet past. Get to know your AdventureWomen companions during a relaxing stroll through Gorky Park and the Garage Contemporary Art Center before a relaxing evening cruise down the Moskva River. Fly to Siberia and visit the covered market at Ulan Ude and wander the charming city center, where a stone Orthodox church towers over traditional Siberian wooden homes. Enjoy a traditional song in the home of an Old Believer, or Trans-Baikal Semeiskie, a unique subculture in Russia recognized by UNESCO. Your first stretch on the epic Trans-Siberian Railway takes you from Ulan Ude to Irkutsk, the lovely Siberian ‘capital’ situated on the banks of the Angara River. You and your traveling companions will marvel at the intricate brightly-colored fretwork on the traditional Siberian buildings in this bustling town. A private concert at the Decembrist Museum, dedicated to the memory of the political revolutionaries, offers a glimpse into the region’s rich history. Next, head to the sparkling waters of Lake Baikal, the world’s deepest lake. Bond with one of your companions as you kayak up the Angara River outlet. 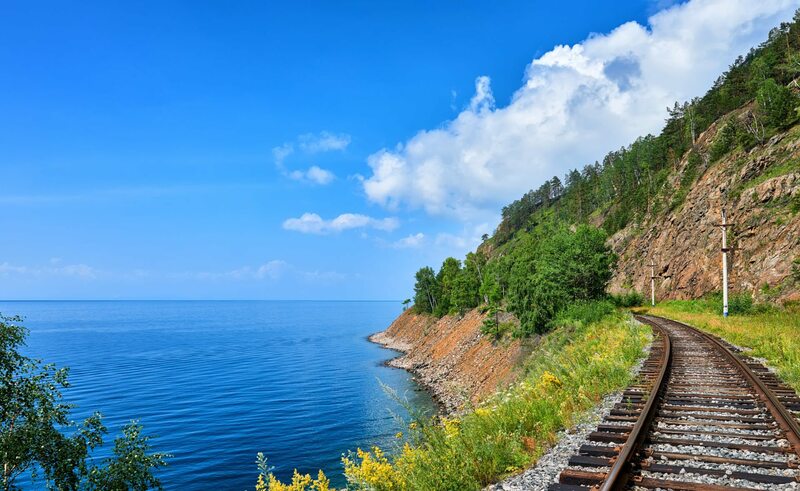 A private cruise will take you around the lake, with stops at the Circumbaikal, the complicated train route along the rocky shore, originally part of the Trans-Siberian Railway. A hike along the Great Baikal Trail will work up an appetite for a home-cooked meal at a traditional Russian farm. Unwind with the other adventurous women on your journey in a traditional Russian banya, or steam room. Gaze out your train windows at rustic Russian villages and stunning landscapes as you journey on to Ekaterinburg. Sleeper accommodations offer a unique railroad travel experience and give you a chance to enjoy and share your impressions of your discoveries with your companions. Ekaterinburg is where the last Czar, Nicholas II, was imprisoned with his family before their execution in 1918. Visit the Church on the Blood, the memorial to this event, and marvel at the Europe/Asia obelisk, the monument demarcating the continental border before traveling back to Moscow aboard this iconic train while delighting over the many memorable experiences of your Russian train trip. Don’t miss out on this unforgettable experience to Russia aboard the world-renown Trans-Siberian Railway, an adventure by train like no other on earth! Have a welcome dinner this evening to kick off your adventure in Russia! Gorky Park, along the Moscow River, opened in 1928 as the Soviet Union’s first “Park of Culture and Rest.” Originally, a large part of it was devoted to carnival rides and food booths, and it was a center of exuberant celebration. But by 2011, the rides and booths had become shabby and gloomy, and the city ordered a complete overhaul. The rides were removed and the green spaces re-purposed into sports and recreational areas, including places for beach volleyball, dance classes and pétanque, or bowls. Free WiFi, public art, an open-air cinema, and new al fresco cafés encourage Muskovites to spend some time outdoors. Founded in 2008, Garage is a cutting-edge center for contemporary art and culture. Located in Gorky Park, Garage supports important international and Russian modern art and cultural projects, including photography, installations, and educational outreach. Enjoy a lunch of traditional favorites at a local restaurant. Board a Radisson Royal Moscow yacht to cruise the Moskva River, enjoying the cool breezes in summer and the wrap-around panoramic windows and ice-breaking capabilities in winter. Admire the historic monuments of Moscow from a nautical angle. You’ll be transferred to the Moscow airport to catch your overnight flight to Ulan Ude in Siberia. You’ll be picked up at the airport and transferred to your hotel. Take some time to rest and freshen up. Enjoy lunch at the hotel. Discover Ulan Ude’s small city center this afternoon. The highlights include the covered market, where merchants at small stands sell everything from freshly-cut meat to freshly-baked bread and sweet rolls; the original merchant center of the city with its wooden Siberian houses; the trade rows and administrative center; the city’s first stone Orthodox church; and the biggest Lenin head in the world. Enjoy dinner at a local restaurant, taking the opportunity to taste the local specialties. Meet with Buddhist women and nuns at Lamrim, the Buddhist cultural and educational center for women. Founded in 2013, Lamrim (meaning “stages of the path”) is meant especially for women to talk, consult, learn about Buddhism, and meditate. Enjoy lunch with some of the women in their dining room. Listen to the stirring songs of a community of Old Believers. Rebelling against Patriarch Nikon’s 1652 reforms of the Orthodox liturgy and ritual, the Old Believers fled or were exiled to Eastern Europe and then to Siberia. In their isolated Siberian villages, these groups were able to preserve their 16th and 17th century traditions, clothing, architecture, language, and style of singing. In 2001, UNESCO inscribed the cultural legacy of the Trans-Baikal Semeiskie – as they are called in Siberia – on the Representative List of the Intangible Cultural Heritage of Humanity. This morning you’ll be driven to the train station where you will board the Trans-Siberian Railway. Spanning nearly 6,000 miles, the Trans-Siberian Railway is an epic journey with breathtaking experiences in remote destinations along the way. Take the train from Ulan Ude to Irkutsk, departing at 8:40am and arriving at 3:31pm. You will be met at the train station and transferred to your hotel. Explore on your own this afternoon, or just relax at the hotel. Enjoy dinner at a local restaurant with your group. Visit the Church of Our Savior. Work began on the church in 1706, making it the oldest stone structure in the city. This fact saved it from demolition during the Soviet era when many of Irkutsk’s other churches were razed. In the early 19th century the walls inside and out were covered with frescoes, many of which survive. Since the church was a beloved feature of the town, the citizens of Irkutsk filled the cracks caused by the earthquake of 1861, and poured water on the structure for two days during the terrible fire of 1879, when most of Irkutsk burned down. Today the church is a historical museum. Visit the World War II Memorial and Eternal Flame Monument. Climb to the belltower of the Church of the Exaltation of the Holy Cross and enjoy a concert of chimes by a master bell ringer. The master personally collected all the bells and reconstructed the tower. During Communist times, worship was discouraged and bells were collected, many of them being melted down for their metal. Although the Orthodox Christians of Byzantium hammered on narrow wooden boards called semantrons during certain points in the liturgy, the Orthodox Rus joyfully took up bell ringing like the European Latinate Christians. Russian bell makers were quick to give the bells a distinctive Russian character, however. The Russian Orthodox hierarchy developed sets of special instructions, called zvon, which were rung for different occasions. Unlike British “change-ringing,” in which intricate patterns are rung by ringers who each have control of one bell, the peals, or zvon of Russian Orthodox bells send messages, and can often be rung by one person. Meet with local women who are singers and musicians, getting to know them and the challenges they face, as well as the rewards they reap from their professions. The Decembrists were a group of young officers who had served abroad during the War of 1812 and become advocates of political reform. In December 1825, they, along with some 3,000 followers, refused to swear allegiance to the new czar, Nicholas I. Their uprising was quickly put down, and five of the leaders hanged. The rest were sentenced to forced labor in Siberia. Many of them, with their wives, settled in Irkutsk after their terms were over, and brought with them education and culture. The House Museum of the Decembrists is in the former home of Sergei Volkonsky and his wife, Maria. Drive towards Listvyanka and board sea kayaks at the Angara River outlet, and paddle down the river to the Museum of Wooden Architecture, about a three-hour trip. This outdoor museum is a 166-acre collection of authentic Russian and native Buryat, Evenki and Tafalar houses and community buildings from the 17th to the early 20th century. The wooden structures were moved here from various Siberian locations and reassembled into little hamlets and nomadic camps that demonstrate how people actually lived. After lunch, visit the Baikal Limnological Museum on the southwest shore of Lake Baikal. (Limnology is the study of the life and other phenomena in fresh water, particularly lakes and ponds.) Learn about the origin of the lake, its characteristics as the oldest and deepest lake in the world, and its endemic species like the golomyanka, a transparent fish, the omul, a tasty salmon-like fish, and the freshwater seal, the nerpa. Board a private boat at Listvyanka for a cruise to the old Circumbaikal Railway. The five-hour round-trip journey includes an on-board lunch of Baikal omul, as well as a walk along the tracks and inspections of some of the tunnels along the line. The Circumbaikal is the original line used by the Trans-Siberian Railway before the present- day route was completed, and it’s one of the most complicated rail systems in the world. The route hugs the rocky lake shore and passes through 33 tunnels along its length, and you will explore it on foot making landings from your private boat. Enjoy a 3-4 hour hike today along part of the Great Baikal Trail. Have a picnic lunch on the shore of the lake before taking a motorboat back to Listvyanka village. On your way back to Irkutsk, stop to visit a local family for a meal and a cooking class. The family has a beautiful wooden house in the forest, where they keep a flock of geese, a big garden, and beehives. Enjoy a tour of the farmstead, a home-cooked meal, and a special drink. Enjoy a Russian Cooking Class with the family, and take part in making some traditional Siberian dishes to taste together. Take a pleasant stroll through the neighborhood of restored and reconstructed Siberian wooden houses and shops called the Kvartal Project, or Irkutskaya Sloboda. The lacy fretwork on the old houses has been refreshed and repainted, and new cafés and shops have opened their doors in the handsome buildings. 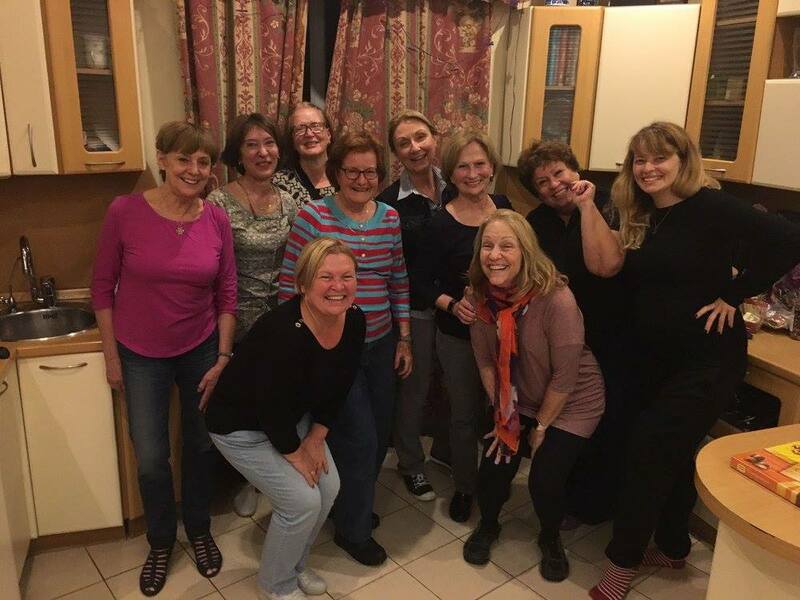 Get together with members of an Irkutsk women’s club for conversation and the exchange of ideas. Enjoy a bit of free time to explore Irkutsk on your own this afternoon. Transfer to the train station to board the train to Ekaterinburg. The legendary train route rolls past remote towns with charming painted houses. Frequent stops in cities and villages are short, but provide priceless opportunities for photos and souvenirs. Dinner tonight is on the train. Spend almost two full days on the Trans-Siberian, riding the rails to Ekaterinburg. Make a cup of tea or coffee from the samovar at the end of the car, talk to other Russian or foreign travelers aboard, or just watch the landscape scroll by the window. Rail travel is among the most popular forms of travel in Russia, and you will get the chance to meet other travelers on their way to the capital. Your tour manager is on hand to help you make the most of the journey, from striking up conversations with locals, to assisting you with ordering lunch in the dining car, to coordinating platform timings so you can stretch your legs at stops. Overnight sleeper accommodations aboard the train will be four travelers/compartment. The toilet and sink are located at the end of each sleeping carriage. Showers should not be expected. Spend the day on board the train, enjoying the scenery of the largest country in the world rolling by the window. Breakfast is included, and other meals are available for purchase in the dining car. Yekaterinburg, or Ekaterinburg, was founded on November 18, 1723, named after Russian emperor Peter the Great’s wife, Yekaterina. After Peter’s death, she became Catherine I. Yekaterinburg served as the mining capital of the Russian Empire as well as a strategic connection between Europe and Asia at the time. Enjoy another day on the Trans-Siberian Railway. Chat with other travelers as you roll towards Ekaterinburg. Arrive in Ekaterinburg in the evening. You will be met at the train station and transferred to your hotel. Visit the Church on the Blood, which stands over the spot where Czar Nicholas II and his family were killed in 1918. The young family has been canonized by the Russian Orthodox Church, and declared martyrs, as holy passion-bearers, reverent believers who were tormented by the Soviets for their beliefs. The church was designed in the early 20th century Russian/Byzantine style that Nicholas favored. A little over six miles from Ekaterinburg is the mineshaft where the bodies of the last czar and his family were thrown after the Bolsheviks executed them in July of 1918. The place is called Ganina Yama, and today there is a monastery here. The Orthodox Church has declared Nicholas II to be a martyr-saint, saying that a czar’s coronation is sanctioned by God. The members of his family who died with him are also martyr-saints. On the grounds of the new monastery, named the Holy Monastery of the Royal Martyrs Czar Nicholas and Family, are six wooden churches made without the use of nails, in the old-fashioned Russian way, to honor Nicholas and his family. Ekaterinburg’s Lapidary and Jewelry Museum was founded in 1992, and features emerald building blocks, worked malachite, jasper and marble from the imperial Lapidary Factory as well as lapidary tools and unique Russian jewelry pieces from the 19th and 20th centuries. Traditionally the border between Europe and Asia, the Urals stretch 1,250 miles south from the Antarctic. They are not particularly high; indeed the highest point, Mount Narodnaya, is only 6,214 feet, but they contain vast mineral deposits of iron ore, bauxite, gold, copper, zinc, coal and, in the south, oil which support the large industrial centers of Ekaterinburg and Chelyabinsk. The Europe-Asia monument includes an obelisk and a stone marking the point where Europe ends and Asia begins, just before Ekaterinburg along the east-bound Trans- Siberian rail line. This statue of an exhausted and traumatized soldier is a memorial to the young men sent to fight in Afghanistan in the last years of Soviet power. Here in the square with its bubbling fountains is a corresponding memorial to the people who died and were injured in the war with Chechnya. Hop back on the Trans-Siberian Railway and head for Moscow! Enjoy your last day getting to know travelers on the train with you. Lunch is available for purchase in the dining carriage. Arrive in Moscow this afternoon where you will be met and transferred to your hotel. Enjoy a farewell dinner with your group to toast the end of a spectacular trip! Arrive: Arrive in Moscow, Russia (SVO or DME) on August 25, 2019 by mid-day. Depart: Depart in Moscow, Russia (SVO or DME) on September 8, 2019. Arrive: Arrive in Moscow, Russia (SVO or DME) on September 8, 2019 by mid-day. Depart: Depart in Moscow, Russia (SVO or DME) on September 22, 2019. You need a visa to travel to Russia. An estimate of current visa costs for U.S. passport holders, based on standard processing time, is $290. Your exact visa fees may differ as visa costs can depend on a number of factors, such as state of residence, processing time, and return shipping. We will facilitate your visa application process a few months prior to departure. You will be asked to submit your passport to the hotel upon check-in for registration purposes. The hotel may return your passport right away, or may keep it overnight, and this process may be repeated at other cities on your itinerary. Always make certain you reclaim your passport at the desk. Do not lose it or your customs declaration. We rate this trip as Moderate with Active options. Our Moderate adventures exercise your mind more than your body and are designed for women who prefer a leisurely, less rigorous experience. For example, you could walk up to 2 miles per day through cities and villages, stand in museums for a few hours, relax on a boat, or view wildlife from a vehicle. Our Active adventures get you on your feet! You should be in good physical condition for these trips and comfortable walking on uneven surfaces, such as cobblestone streets, biking well-maintained paths and natural trails, or kayaking in calm waters. Make an appointment with a travel clinic. There are no immunization requirements for travel to Russia, however your local travel clinic may have recommendations for you based on your age, health, and past vaccination history. For more health information, go to www.cdc.gov/travel and navigate to the page about Russia. The currency of Russia is the Ruble. Make sure that any US bills you bring to exchange are crisp, new and unmarked. Ask your guide for the best place to exchange money – rates at airports and banks are not always the best. Your passport is usually required to exchange money. ATMs: Called bankomats, are prevalent in larger cities. It is recommended that you use your ATM card to get cash, and then use the cash for your purchases. It is preferable to use ATMs inside hotels and banks, due to reports of scams involving street ATMs. Credit Cards: Credit cards can be used at more and more places in Western Russia, but it is wise to save all receipts and check them against your statement on your return home. Some cases of fraud have been reported. Final payment is due to AdventureWomen in a cash form (check, money order, or wire transfer) on or before June 10, 2019. This upscale Moscow hotel is situated in the famous business district of White Square near Belorussky railway station. You can't beat the location of this hotel for your stay in Moscow! Mergen Bator is perfect for those who appreciate European comfort and Siberian hospitality. Modern technology, convenient location in the business and cultural center of Ulan Ude, and skilled and attentive staff will make your stay in Ulan Ude unforgettable. With beautifully appointed accommodation and outstanding service, the Courtyard Irkutsk City Center provides a relaxed home away from home. You’ll be delighted with the picture-perfect hotel location in the city center, within walking distance of Kirov Place, Angara River, and Drama Theatre. Anastasia hotel is located at the outflow of the Angara River. This small hotel has 17 comfortable rooms, and all building materials in the hotel are made of natural products, including oak, ash, cedar, and Siberian pine. Your overnight sleeper accommodations on the train will be four women per compartment. The toilet and sink are located at the end of each sleeping carriage. There are no bathing facilities on board the train. The Atrium Palace Hotel is an upscale hotel in the Urals region. The hotel is conveniently located in the very center of Ekaterinburg near to the main governmental institutions, tourist attractions, and entertainment venues. Be prepared for a wide variety of conditions, spanning the range from hot, sunny weather to more average cooler early-autumn weather. We recommend that you travel with one small to medium checked bag that you can handle yourself as needed, and one carry on. Pack comfortable clothes that can easily be layered. All daytime excursions are considered casual. In addition to casual clothing that will serve for the majority of the trip, you may want to have one or two slightly nicer outfits along for evening events. Nothing too fancy, but something that will be appropriate for a nicer dinner. What guests are saying "Russia: Adventure On The Trans-Siberian Railway"
"The trip was fabulous! The art, architecture, history, culture, and people were all so wonderful. There were so many "wow!" moments. In the various museums and former palaces we visited the ceilings, floors, walls, and displays all needed to be looked at." "I loved seeing St. Basil's Cathedral in Moscow because it's such an iconic image of Russia. I knew I was in Russia when I saw it on the first night." Remarkable Russia: Did You Know? Our ‘Moscow and St. Petersburg Rediscovered’ adventure vacation to Russia takes off in the beginning of September 2017 and we are already dreaming about it! How much do you know about Russia? Here are some ... Read more.